AIMS is an association of more than 460 race organizations located in over 130 countries and territories (see directory of member races). Races are listed in the AIMS Calendar on this website which also appears in the quarterly AIMS magazine Distance Running. The AIMS Calendar is also widely re-printed in running publications throughout the world. If you already organise a race you may apply to join AIMS as an associate or full member. Associate status (USD300/year) is intended for races of less than two years' standing. After two years as an associate races are required to move up to full member status (USD850/year if paid before 1 March, USD1100 if paid after this date). Full members benefit from one free quarter-page advert in Distance Running each year, in the edition of their choice. 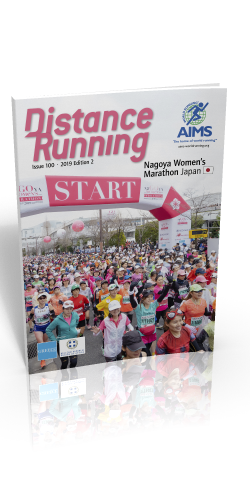 They receive reference copies of each edition of Distance Running but for one edition each year they may order a bulk delivery, for distribution to participants in their race. Members must have their courses measured by an accredited AIMS/IAAF measurer, and bear the costs of doing this themselves. In cases where members conduct multiple races on the same day, each race that is over an advertised distance must also be measured by an AIMS/IAAF Grade A or B measurer. Please also read the dedicated course measurement page. Members are expected to offer a table or booth at their race expo for the exclusive use of other AIMS members. Equally, members may send race promotional material for display at and distribution from such booths of fellow AIMS members. By such means AIMS offers a platform from which members can effectively promote their event to overseas markets. AIMS membership offers concessionary membership of the International Institute of Race Medicine (IRRM) which gives access for all event medical volunteers, EMS partners, and area hospitals to the resources provided in the member-only area of the IIRM website. This includes guidelines for treating multiple medical conditions, samples of medical records forms developed by medical directors at the prominent marathons around the world, a comprehensive medical manual, and many educational videos addressing topics related to race medicine. See below for further details and for a downloadable membership application form. Membership of this world association of road races is available to your event. International recognition for your event with increased profile for your sponsors, city and runners. Increased overseas entry for your race, generating inward investment opportunities. A free advertisement each year in Distance Running, distributed at major road races throughout the world (present circulation over 400,000 copies annually). Free listing in the AIMS/IAAF Calendar circulated worldwide to press and media. The facility to exhibit from AIMS’ expo booths at major world marathons. 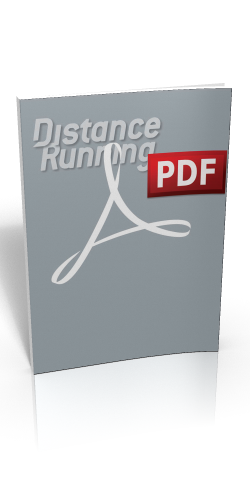 Copies of Distance Running for distribution at your event. Offers concessionary membership of the International Institute for Race Medicine (IIRM) and access to guidelines for treating medical conditions, samples of medical records forms developed by Marathon medical directors, a comprehensive medical manual and educational videos addressing topics related to race medicine. Advice on race management, technical standards, promotion, publicity and doping control. Participation in policy formulation concerning the organization and development of road running through attendance at AIMS World Congresses. Informal exchange of athletes through co-operation with other AIMS races. 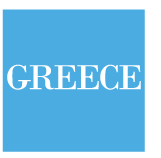 A monthly newsletter keeping you in touch with developments worldwide. Quarterly statistics on events from 5km to the Marathon.